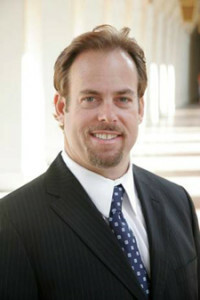 Loren Bennett is often lead attorney on several Million Dollar cases. His of “out of the box” thinking provides the best possible results for our clients. Loren grew up in the San Fernando Valley of Southern California. Prior to becoming a personal injury attorney, Loren worked at the Halpern Law Firm as a law clerk. He graduated from law school in 1997 and began practicing law. He has knack for getting to the point of things quickly and understanding legal issues and how they apply to a client’s story. Loren obtained substantial recovery for a client assaulted in bar. The defendant struck the client with a beer bottle. Quickly realizing that the only possible source of recovery would be from the defendant homeowners insurance, Loren characterized the case as one of negligence and overreaction as opposed to a criminal assault. By going this direction, Loren was able to get the defendant’s homeowner’s policy to pay for our clients damages. Outside the office, Loren spends time coaching his four kids in soccer, baseball and softball. He’s also becoming an avid tennis player.